Let’s give the ACC Digital Network in Charlotte, known as the ACCDN, full credit; they are very aggressive with creating a new image for the dynamic conference that is what I call, sports technology driven. Their latest proactive business development move is to join Fancred so their community of followers and readers can have access to official content from the ACCDN.com such as game and rivalry highlights, mixed in with what they label, Must See Moments, of the Atlantic Coast Conference in the NCAA. The Sports Techie community blog has followed the sports tech progression of the ACCDN so our members will enjoy knowing they can use the Fancred app and web platform to view pictures, trending GIFS, informative videos, stories and more, because of this new business partnership. Fancred’s active and passionate ACC fans will be given access to a constant stream of ACCDN content, breaking news, Must See Moments and unique video. Being the first college sports digital network to align with Fancred, makes this deal a part of sports tech history for the ACCDN. With college football season in full force and the highly competitive college basketball season about to get underway, ACC fans can go online via OTT and digital devices to learn about breaking news, every Must See Moment and ACC Now, plus exclusive video clips designed to engage each fan. Students, alumni and fans can find additional web based content such as social buzz, memorable moments, top player and recruit interviews, funny blooper reels, and the prestigious top players of the week award. I like the web sites compelling college sports metrics information, data-driven analytics and expert analysis ACC fans can only find via the ACCDN and now Fancred. 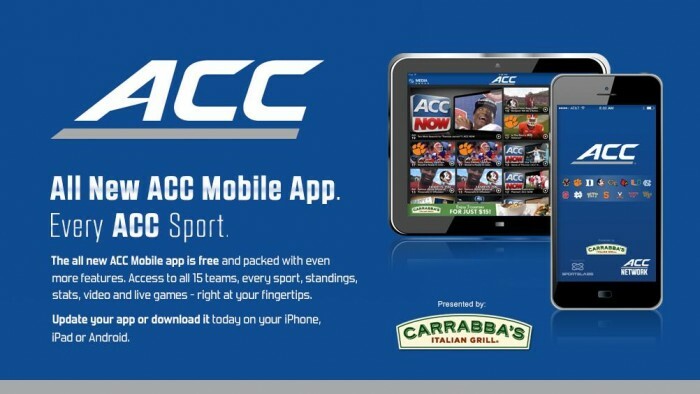 All New ACC Mobile App, Every ACC Sport. There is no better way for ACC fans here in the South, around the country and the world to stay connected to their favorite university teams and players than the all new ACC Mobile app made for smartphones and tablets. 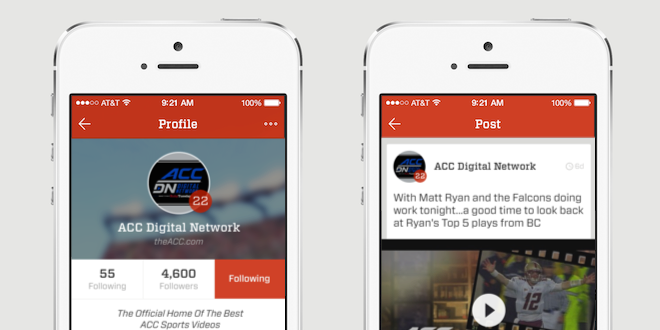 To follow The ACC Digital Network on Fancred, download the app from iTunes or create a profile at www.fancred.com. The ACC Digital Network (theACCDN) is a joint venture between Silver Chalice, a fast-growing digital sports and entertainment media firm and Raycom Sports, a long-time television producer and partner of the Atlantic Coast Conference. The television-quality, cross-platform digital video network covers the spectrum of one of the nation’s top intercollegiate athletic conferences, featuring both live programming and original on-demand content throughout the entire year. All ACCDN videos are viewable on theACC.com, the ACC mobile and tablet app, as well as various streaming and connected mobile and TV devices such as Amazon Fire, Apple TV and Roku. For more information, visit theACC.com and follow @theACCDN on Twitter and Instagram. Founded in 2012, Fancred’s mission is to build the world’s largest sports community by offering users a digital scrapbook to capture their favorite sports moments and connect with other fans and teams. Coming soon to Android, Fancred is currently available on iOS and Fancred.com. Sports Techie, I have seen this space come full circle over the past six years. I was the Wetpaint Moderator for the official New York Giants historical wiki, Houston Rockets and Atlanta Thrashers (now the Winnipeg Jets), and HBO Entourage online communities, where my job was to use their platform to upload breaking NFL, NBA and NHL stories, photos and video, while being the role model for each website’s online community members in terms of showing them how easy it was to add content themselves. 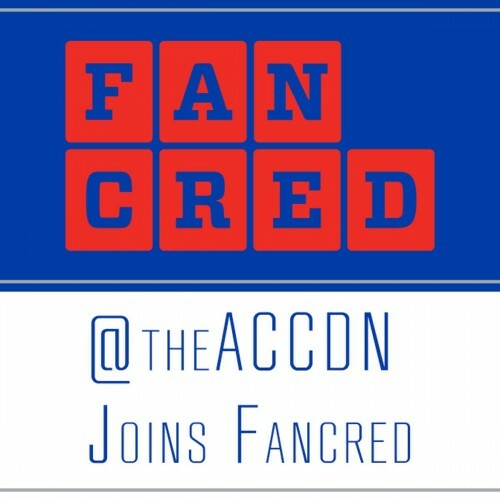 Now the ACCDN and Fancred are together in order to allow ACC fans access to similar features via their app that enables a person to capture favorite sports moments, enhancing the fan experience. It is fun to build your following by showing your knowledge and passion by uploading images, performing check-ins at stadiums and arenas, and sharing articles and GIFS, for others who are like-minded. Be sure to take advantage of the Fancred Score 1-100 point system. It uses proprietary algorithms to measure each ACC fans activity and engagement. It is simple; the more active you with posting, commenting and gaining followers, and the more fans engage with you, the higher a user’s Fancred will rise up as Falcons fans say in Atlanta, home of Georgia Tech University. Enjoy the ACC hoops season.